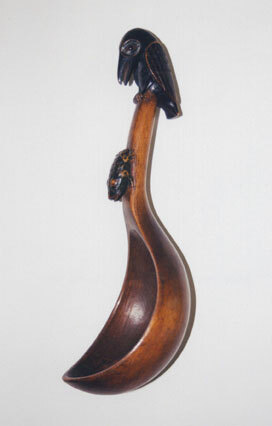 Tsimshian ceremonial feast ladle, carved of wood, circa 1870.
and a raven surmounting the end of the handle. 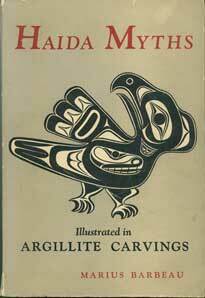 Provenance: Marius Barbeau Collection, Canada. and figural sculpture from the Northwest Coast.